A decade after the financial crisis, UK banks and their groups continue to operate in a shifting regulatory and business landscape. Regulatory reforms introduced in response to the crisis have now largely been implemented, but while the pace of regulatory change may have slowed, increased competition from challenger banks and financial technology firms, and the UK’s looming departure from the European Union, mean that UK banks continue to face a number of challenges. Since the establishment in 2013 of the Financial Conduct Authority (FCA) and the Prudential Regulation Authority (PRA), the approaches and priorities of each regulator are now apparent. The PRA’s judgment-led approach to supervision has led to a significant focus on governance arrangements and resolution planning in respect of the largest banking groups. The FCA has pursued a strong enforcement agenda, most notably as regards LIBOR2 and foreign exchange manipulation. A common theme across both regulators is an increased focus on individual accountability, including measures to increase awareness of accountability of senior managers in banks. The implementation of the UK ‘ring-fencing’ regime remains a key area of focus for the UK’s largest banking groups. The regime will require certain banking groups with significant retail and small and medium-sized enterprise (SME) banking operations to ‘ring-fence’ in a separate legal entity certain core deposit-taking activities for retail and SME depositors with effect from 1 January 2019. Ring-fenced entities will not be permitted to carry on certain specified wholesale and investment banking activities. Compliance with these requirements will involve significant business model, operational and legal reorganisations, which will need to be carried out in the time available (and therefore largely by the end of 2018). At the same time, UK banks continue to prepare for or adjust to various other significant reforms, including the EU MiFID II regime (comprising MiFID II3 and MiFIR4) and other key EU legislation (for further information, see the European Union chapter), enhancements to the recovery and resolution planning arrangements for banking groups (including measures requiring a minimum amount of total loss-absorbing capital) and the implementation of the Competition and Markets Authority’s (CMA) ‘Open Banking’ standard. Ultimately, Brexit remains one of the most significant challenges for UK banks with operations or customers outside the United Kingdom. Many banks have now moved into the implementation phase of their contingency planning as the UK edges closer towards a ‘hard’ Brexit with an anticipated loss of passporting rights, notwithstanding any temporary alleviation that may be granted by the agreement of a transitional period between the UK and the European Union. Much of the regulatory framework applicable to UK banks derives from EU legislation. While this will initially be incorporated into the UK domestic framework following Brexit, the direction of travel of UK financial services legislation thereafter remains to be seen. The terms of any deal between the UK and the EU, and its effects on the regulation of banks in the UK, also remain uncertain. The top five UK banking groups by market capitalisation5 are HSBC Holdings plc, Lloyds Banking Group plc, Barclays plc, Standard Chartered plc and Royal Bank of Scotland Group plc. Other than Standard Chartered plc, these banks, together with Santander UK plc (the UK subsidiary of the Spanish banking group), dominate the UK personal and business banking markets, although the market share of smaller ‘challenger’ banks continues to develop. Regulatory and supervisory responsibility for UK banks is divided principally between the Bank of England (in its capacity as the PRA) and the FCA. The Bank of England exercises its role as the PRA through its Prudential Regulation Committee, while its Financial Policy Committee (FPC) has a macroprudential mandate to identify imbalances, risks and vulnerabilities in the UK financial system, and can direct the PRA and the FCA to take certain action to mitigate those risks. The authority of the PRA and the FCA derives from the Financial Services and Markets Act 2000 (as amended) (FSMA). The FSMA sets out objectives for each regulator and requires each regulator to exercise its powers in a manner that will advance those objectives. The PRA is the prudential regulator of all UK banks and building societies, insurance companies and certain large investment firms. The conduct of business of PRA-authorised firms is regulated by the FCA and these firms are therefore referred to as ‘dual-regulated’. Under the FSMA, it is a criminal offence for a person to engage in ‘regulated activities’ by way of business in the United Kingdom unless authorised (an ‘authorised person’) or exempt from the authorisation requirement. Regulated activities are prescribed in secondary legislation made under the FSMA.6 Accepting deposits is a regulated activity where such deposits are lent to third parties or where any other activity is financed wholly or to a material extent out of capital or interest on deposits. The regulated activity of ‘accepting deposits’ is specified for the purposes of the Financial Services and Markets Act 2000 (PRA-Regulated Activities) Order 2013 (the PRA Order) and, consequently, firms that wish to carry on deposit-taking activities (i.e., prospective banks and building societies) are required to seek authorisation to do so from the PRA. An application to the PRA for authorisation must cover all regulated activities that the applicant wishes to carry on, regardless of whether those activities are specified in the PRA Order. The PRA is required to obtain consent from the FCA before granting any authorisation. The FCA is fully involved in the authorisation process for such firms and may request information from, or ask questions of, the applicant. Other regulated activities under the FSMA that may be relevant to banks include dealing in investments as principal, dealing in investments as agent, advising on investments, arranging deals in investments, managing investments, certain residential mortgage-lending activities, safeguarding and administering investments (i.e., custody activities) and certain consumer credit-related activities. The ‘investments’ to which these activities relate are set out in secondary legislation and include shares, debentures, public securities, warrants, futures, options, contracts for differences and units in collective investment schemes. The PRA’s statutory objectives include promoting the safety and soundness of the firms it regulates. The PRA is required to advance this objective by seeking to ensure that the business of PRA-authorised firms is carried on in a way that avoids any adverse effect on the stability of the UK financial system, and by seeking to minimise the adverse effect that the failure of a PRA-authorised firm could be expected to have on the stability of the UK financial system. The second element of this objective reflects the principle that the PRA does not operate on a ‘zero-failure’ basis: a core aspect of the PRA’s approach to banking supervision is its focus on the establishment, maintenance and implementation of appropriate recovery and resolution arrangements. The PRA has a general power under the FSMA to make rules that apply to the firms it regulates, and to issue related guidance, with respect to the carrying on by such firms of regulated activities, and other unregulated business activities carried on by such firms (e.g., certain business lending activities that fall outside the regulatory perimeter in the United Kingdom). The PRA may, however, only make such rules as it considers necessary or expedient for the purpose of advancing any of its objectives. The PRA has adopted a set of ‘Fundamental Rules’, which are a series of high-level prudential principles that underpin the PRA’s regulatory approach to the firms it regulates. These focus on certain matters relating to governance, integrity, resolvability and financial resources. The Fundamental Rules are drafted as clear statements of principle, and include statements that ‘a firm must at all time maintain adequate financial resources’ and ‘a firm must deal with its regulators in an open and cooperative way and must disclose to the PRA appropriately anything relating to the firm of which the PRA would reasonably expect notice’. Consistent with its judgment-led approach to supervision, the PRA’s supervisory approach focuses on the most significant risks to its statutory objectives. The PRA draws on a broad set of information and data in forming supervisory judgments and relies on banks – and other firms that it regulates – to submit that information and data. Periodically, the PRA may validate data though on-site inspections conducted either by its own supervisory staff or by third parties. To support its information gathering and analysis, the PRA requires firms to participate in meetings with supervisory staff at senior and working levels. The FCA is responsible for the regulation of conduct of business at all authorised firms in the United Kingdom (including banks and other PRA-authorised firms) and conduct of business in respect of wholesale and retail financial markets and market infrastructure. The FCA is also responsible for the prudential supervision of firms that are not subject to prudential regulation by the PRA, which may include banks’ subsidiaries, such as dedicated consumer credit lenders or investment intermediaries. Firms subject to both prudential and conduct of business regulation by the FCA are not dual-regulated and therefore only need to seek authorisation from the FCA to carry on regulated activities. Under the FSMA, the FCA has a ‘strategic objective’ to ensure that markets for financial services in the United Kingdom function well. This is supported by three operational objectives: consumer protection, enhancing the integrity of the market and promoting competition. When pursuing its consumer protection objective, the FCA must have regard to consumers’ need for ‘timely’ information and ‘advice that is accurate and fit for purpose’ and whether firms are providing an ‘appropriate’ level of care to consumers, among other factors. The FCA has various powers to further its consumer protection objectives, including powers to introduce product intervention rules (pursuant to which it can ban the sale or distribution of certain products), to require the withdrawal of misleading financial promotions, and to publicise the issue of a ‘warning notice’ (a stage in an FCA regulatory investigation prior to any finding of guilt or wrongdoing). The FCA uses its supervisory and enforcement work, thematic reviews and market studies to further its objectives. Market studies are a recent addition to the FCA’s toolkit, and the FCA has indicated that these will become more commonplace following initial market studies in the areas of cash savings and competition in the wholesale sector. The FCA is currently undertaking market reviews into retirement outcomes and retail banking business models as well as market studies into the mortgages market, investment platforms and wholesale insurance brokers. The FCA also has competition powers relating to the financial services sector that are concurrent with those of the CMA. The FCA’s competition powers permit it to investigate the performance of any market for financial services under the Enterprise Act 2002, and investigate and enforce against any breach of the Competition Act 1998 in financial services. The FCA has the power under the FSMA to make rules that apply to all regulated firms and to issue related guidance with respect to the carrying on of regulated activities and other unregulated business activities carried on by regulated firms. 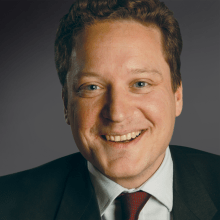 The FCA may, however, only make such rules as it considers necessary or expedient for the purpose of advancing one or more of its operational objectives. Like the PRA’s Fundamental Rules, the FCA’s Principles for Businesses set out high-level requirements that apply to the firms it regulates. One key principle is that ‘a firm must pay due regard to the interests of its customers and treat them fairly’. The FPC is a committee of the Bank of England and has a macroprudential objective of protecting and enhancing financial stability and the resilience of the UK financial system. It does this by monitoring threats and taking action where necessary to address any perceived or identified vulnerabilities and imbalances in the UK financial system. The FPC has the power to issue macroprudential recommendations and directions to the PRA and the FCA. It does not, however, have the power to exert control over, or issue directions to, individual firms. The Financial Services (Banking Reform) Act 2013 (Banking Reform Act) introduced amendments to the FSMA that have established an enhanced regulatory framework for individuals performing certain functions at UK banks or, in certain circumstances, UK branches of foreign banks. These reforms were primarily intended to enhance individual accountability in the banking sector and to address concerns that continuing responsibilities of senior bankers were inadequately defined. This section provides an overview of this framework, which includes a ‘senior managers’ regime (which replaced the approved persons regime for banks), a ‘certification’ regime (applying to other bank staff whose actions pose a risk of significant harm to the firm or its customers) and a set of conduct rules (which replaced the previous Statements of Principle and Code of Practice for Approved Persons) enforceable by either the PRA or the FCA. The senior managers and certification regime, which currently only applies to UK banks and PRA-designated investment firms, will ultimately be extended to cover all FCA- and PRA-authorised firms. This is expected to take place with effect from late 2018 for insurers and from mid- to late 2019 for other firms. Individuals intending to carry on certain specified ‘senior management functions’ at UK banks require prior approval by the PRA or the FCA (the regulator granting the approval depends on the nature of the role). These specified ‘senior management functions’ broadly cover roles in which persons are responsible for managing one or more aspects of the bank’s affairs relating to a regulated activity, where the relevant function involves, or might involve, a risk of serious consequences for the firm or for business or other interests in the United Kingdom. Senior management functions are specified by either the PRA or the FCA, a distinction that reflects the difference in scope of each regulator’s objectives. There are currently 21 specified senior management functions, each of which is labelled with an ‘SMF’ number. Of these, the functions that are most relevant to banks are the chief executive function (SMF1), chief finance function (SMF2), executive director function (SMF3), chief risk function (SMF4), head of internal audit function (SMF5), head of key business area function (SMF6), group entity function (SMF7) and compliance oversight function (SMF16). In November 2017, the PRA introduced a new chief operations function (SMF24) which, exceptionally, can be split between more than one individual. Certain non-executive directors (NEDs) also require pre-approval as senior managers, including the chair (SMF9), senior independent director (SMF14) and chairs of the risk (SMF10), audit (SMF11), remuneration (SMF12) and nominations (SMF13) committees. Other NEDs (termed ‘notified’ or ‘standard’ NEDs) fall outside the scope of the senior managers and certification regime, but are subject to certain FCA conduct rules (see below). The regulators also retain the ability to prohibit notified NEDs from carrying out their roles. For senior management functions specified as PRA functions, individuals are pre-approved by the PRA with the FCA’s consent. For senior management functions specified as FCA functions, individuals require pre-approval by the FCA only. There are 30 ‘prescribed responsibilities’ specified by either the PRA or the FCA or both, which banks must allocate to individuals holding senior management functions. This is designed to ensure that there is individual accountability for the fundamental responsibility inherent in a particular function. Certain prescribed responsibilities are designed to be assigned to executives, while others reflect non-executive roles. Not all the prescribed responsibilities will be relevant to all firms – for example, certain prescribed responsibilities apply only in specific circumstances (such as where the bank carries out proprietary trading or, once the ring-fencing regime comes into effect, where the bank is ring-fenced). In general, each prescribed responsibility should be allocated to one individual, although the regulators have recognised that the sharing of responsibilities may be necessary in limited circumstances (e.g., where departing and incoming senior managers work together temporarily as part of a handover). All applications for individuals to perform a senior management function must be accompanied by a ‘statement of responsibilities’, a document that sets out the areas of business for which the individual will be responsible. Banks are also required to produce a ‘responsibilities map’, a single document that describes the firm’s management and governance arrangements. The regulators will approve an individual only if satisfied that the candidate is a fit and proper person to perform the senior management function for which approval is sought. The PRA and the FCA both apply a ‘fit and proper test’, which is concerned largely with the candidate’s honesty, integrity and reputation, competence and capability and financial soundness. Both regulators are interested in the qualifications of prospective directors of banks and expect banks to carry out extensive referencing and due diligence before appointing new directors and other individuals performing senior management functions, including assessing suitability for the role, conducting criminal record checks and obtaining references from previous employers. The PRA and the FCA have, and frequently exercise, the power to interview prospective directors and other individuals performing senior management functions at banks. The senior managers regime is designed to increase individual accountability and is supported by a duty of responsibility, which allows the PRA or the FCA to bring a misconduct claim against the accountable senior manager if the authorised firm has contravened a relevant requirement. Broadly, the PRA or the FCA, or both, must show in any misconduct claim against an individual that the senior manager with the relevant responsibility did not take such steps as a person in the senior manager’s position could reasonably have been expected to take to avoid the contravention occurring. The burden of proof lies on the regulator. Both regulators have produced guidance on the factors they will consider when addressing the duty of responsibility. Where the FCA or the PRA finds that a senior manager is in breach, it may suspend or limit the senior manager’s approval, impose a penalty, impose conditions on the individual’s approval or publish a statement of misconduct. The ‘certification’ regime applies to individuals employed in positions where they could pose a risk of significant harm to the firm or its customers. Neither the PRA nor the FCA pre-approves these individuals, but banks are required to certify that the individuals are fit and proper for their roles, both at the point of recruitment and thereafter (at least annually). If it believes that an individual within the scope of the regime fails to meet the requisite standards, a bank must refuse to renew that individual’s certificate of fitness and propriety. The FCA and the PRA have each issued updated conduct rules, which replace the previous rules for approved persons. The FCA’s conduct rules apply to all individuals approved as senior managers or covered by the certification regime, as well as notified NEDs and all other employees (other than ancillary staff who perform a role that is not specific to the financial service business of the firm). The PRA’s conduct rules apply to individuals approved as senior managers or covered by the certification regime, and to notified NEDs. The conduct rules are high level and reflect core standards expected of those within their scope, including requirements relating to integrity, acting with due care, skill and diligence, observing proper standards of market conduct, and dealing openly and cooperatively with regulators. Both the FCA’s and the PRA’s conduct rules are in two tiers: those that apply to all individuals within the scope of the conduct rules (the ‘individual conduct rules’) and those that apply only to senior managers (the ‘senior management conduct rules’). The latter include the requirement to disclose to the regulators any information of which they would reasonably expect notice and to take reasonable steps to delegate responsibilities and oversee the delegation of responsibilities to an appropriate individual. In addition to the individual conduct rules, notified NEDs are subject to the senior management conduct rule requiring them to disclose to the regulators any information of which they would reasonably expect notice. Relevant individuals who fail to comply with a conduct rule, or who are knowingly involved in a contravention by an authorised firm of any requirement imposed on it by or under the FSMA, or FCA or PRA rules, may be fined or publicly censured, or both. Both regulators have the power to discipline an approved senior manager who has breached a conduct rule that it has issued, irrespective of whether it has approved the individual. Both regulators also have the power to withdraw approval from individuals or to issue a general or specific prohibition order prohibiting an approved person from carrying on any senior management function, or both. the implementation of the decision caused the failure of the relevant (group) financial institution. The offence has been in force since 7 March 2016 and applies to any decision made on or after that date that causes a financial institution to fail. Many of the detailed rules regarding the application of prudential supervision by competent authorities and in relation to regulatory capital adequacy are contained within the EU Capital Requirements Regulation7 (CRR) and the Capital Requirements Directive8 (CRD), together referred to as ‘CRD IV’ (for further information, see the European Union chapter). The CRR is directly applicable in the United Kingdom and, accordingly, the PRA has not made rules to implement its provisions, except in relation to certain discretions afforded. The CRD is an EU directive and, as a consequence, requires implementation in the UK (this is due to take place on a phased basis until 2019). It should be noted that in November 2016, the European Commission published proposals for a directive and a regulation amending the CRD and the CRR, commonly referred to as ‘CRD V’. If adopted in the UK in its current form, CRD V would entail significant changes to the regulatory capital and liquidity requirements that apply to UK banks. Under the CRR, UK banks are required to hold capital in respect of credit risk, market risk and operational risk. Credit risk is, broadly, the risk that a debtor will not repay a loan at maturity or that a counterparty will not perform an obligation due to the bank. Market risk measures the risk of a bank suffering losses as a result of changes in market prices where it has invested in debt or equity securities, or in derivatives or physical commodities. Operational risk is the risk of loss resulting from inadequate or failed internal processes, people and systems or from external events. The rules on market risk apply to trading activity where the bank’s purpose is to make a profit, or avoid a loss, from short-term changes in market prices (i.e., proprietary trading). Such trading positions constitute the bank’s ‘trading book’. A ‘building block’ approach applies, whereby capital must be held against specific risks (e.g., position risk, counterparty risk, foreign exchange risk, commodities risk and large exposures risk). Transactions giving rise to more than one risk category may trigger several different capital charges. Banks can (with PRA approval) use a market risk internal model to calculate their capital requirements for market risk. The credit risk capital charge will depend on the bank’s risk-weighted assets, calculated using either the standardised approach or an ‘internal ratings-based approach’. The standardised approach sets capital charges for exposure to particular classes of counterparty (e.g., corporates, interbank, retail, residential mortgages), generally based on external credit ratings. Internal ratings-based (IRB) approaches, which are based on internal models for credit risk, can be used only if approval is given by the PRA. The PRA recognises two IRB approaches: the foundation IRB and the advanced IRB. Under the foundation IRB, banks are required to determine the probability of default of exposures; the other risk factors are determined based on supervisory estimates, which are then fed into a formula to determine the capital charge for such exposures. Under the advanced IRB, the bank determines all the risk factors based on its own internal estimates. The PRA would typically require a new bank to use the standardised approach and, if the bank can demonstrate to the PRA that it has sufficiently sophisticated risk-modelling methods, the PRA may grant permission to apply an IRB approach (although, under the CRD, this is not allowed within the first three years of the bank’s existence). The PRA imposes restrictions on large exposures of banks and requires capital deductions for funding arrangements (including loans and guarantees) entered into with connected parties where those arrangements are of a capital nature. UK banks are required under the CRR to hold base regulatory capital of at least 8 per cent of risk-weighted assets plus additional capital in respect of various regulatory capital buffers (including those deriving from CRD IV, which will be phased in during the period to 1 January 2019). The capital buffers include the CRD IV combined capital buffer (which is formed of a capital conservation buffer of 2.5 per cent of risk-weighted assets, plus a countercyclical buffer that the Bank of England calibrates on advice from the FPC), certain sector-specific capital buffers calibrated by the FPC, Pillar 2 capital buffers (which the PRA has split into Pillar 2A, a capital buffer to address risks that are not adequately captured by the CRR capital requirements, and Pillar 2B, an additional capital buffer to address risks to which the bank may become exposed over a forward-looking planning horizon) and systemic capital buffers (reflecting the global or domestic systemic importance of a bank). UK banks will, ultimately, be required to hold regulatory capital of an amount that is significantly in excess of 10.5 per cent of risk-weighted assets (being the 8 per cent base requirement plus the 2.5 per cent capital conservation buffer). The base capital requirement relating to the highest quality of capital (Common Equity Tier 1 (CET1) capital, which is broadly ordinary share capital and reserves) is at least 4.5 per cent of risk-weighted assets. Banks are required to satisfy the regulatory capital buffers referred to in (a) using CET1 capital and will, accordingly, need to maintain a CET1 capital ratio significantly in excess of 4.5 per cent of risk-weighted assets. The PRA has the power to restrict the payment of distributions (in the form of dividends or staff bonuses) by UK banks unless this and certain other capital buffers are satisfied (further details of these measures are set out in the European Union and International Initiatives chapters). Subject to specified limits, banks are permitted to hold other types of capital instrument to satisfy their total capital requirement, with these instruments categorised as Additional Tier 1 (broadly, perpetual subordinated debt instruments or preference shares with no incentive to redeem and that will automatically be written down or converted into CET1 upon the bank’s CET1 ratio falling below a specified level of at least 7 per cent) and Tier 2 (broadly, subordinated debt instruments with an original maturity of at least five years). 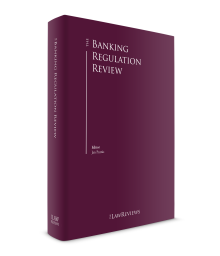 In addition to the regulatory capital requirements under CRD IV, the Banking Reform Act introduced a framework for regulators to impose non-capital primary loss-absorbing capacity requirements on ring-fenced banks and banks that are systemically important. This requirement to hold additional loss-absorbing capacity, the amount of which is calibrated according to the minimum requirement for own funds and eligible liabilities (MREL) framework under the EU Bank Recovery and Resolution Directive (BRRD)9 and, for UK global systemically important banks (G-SIBs), the Financial Stability Board’s total loss-absorbing capacity requirement (see subsection vii), will be fully implemented by 1 January 2022. Regulatory capital requirements apply to individual banks on a stand-alone (solo) basis and to their groups on a consolidated basis. The PRA also supervises banking groups on a consolidated basis. The relevant requirements can be complex, but the basic principle is that banking groups must hold prescribed minimum amounts of capital, on a group-wide basis, to cover the risk-weighted assets and off-balance sheet liabilities of members of the group, whether they are regulated or not. Under the CRR, consolidated supervision generally applies at the level of the highest parent undertaking incorporated in the European Economic Area (EEA) with its subsidiary undertakings that are banks or investment firms or that carry on broadly defined ‘financial’ activities. Subsidiary undertakings are required to be consolidated in full, although proportionate consolidation for non-wholly owned subsidiaries is permitted in certain circumstances, subject to supervisory permission. Banking groups are permitted, subject to the satisfaction of certain prescribed conditions and haircuts, to recognise on a consolidated basis the minority interest that arises in respect of non-wholly owned subsidiaries that are fully included within the consolidation. Participations are also included within the scope of consolidated supervision on a proportionate basis. A ‘participation’ is presumed to be held where there is a holding of 20 per cent or more of the share capital in another undertaking. The financial crisis demonstrated the importance of both capital and liquidity adequacy for banks. In response to this, the Financial Services Authority (FSA) (as it then was) introduced its own rules on liquidity with effect from December 2009. Recognising that imposing strict new rules on liquidity in an unstable financial market could have had an adverse effect on banks’ stability, the FSA rules imposed relatively low-level quantitative liquidity standards that could be increased over a period of several years. The CRR subsequently introduced a binding liquidity coverage ratio (LCR) in the European Union; the new standards were phased in between 1 October 2015 and 1 January 2018. The PRA’s liquidity adequacy regime broadly requires UK banks to be self-sufficient for liquidity purposes: banks may only rely on other members of their group if they obtain a rule modification from the PRA and comply with stringent requirements. The PRA is unlikely to grant this modification to a UK bank that is seeking to rely on liquidity from non-UK subsidiaries. The liquidity standards require banks to have adequate liquidity resources in certain specified stressed scenarios. The CRR also contemplates the introduction of a ‘net stable funding ratio’ (NSFR) requirement, measuring liquidity over a longer period of time than the LCR. The European Commission’s CRD V proposals include the implementation of a binding NSFR requirement. It is intended that this should take effect from 1 January 2019, although it seems unlikely that the proposals will be formally adopted until later that year. Given the number of systemically important banks in the UK and the relative size of the UK banking system, the FPC directed the PRA in 2015 to introduce a leverage ratio in the UK ahead of any internationally agreed standard. The PRA has implemented the FPC’s proposals in relation to UK banks and building societies that have retail deposits equal to or greater than £50 billion, which include a minimum leverage ratio requirement of 3.25 per cent; a countercyclical leverage ratio buffer set at 35 per cent of the firm’s countercyclical buffer; and for UK G-SIBs (and, from 2019, domestic systemically important banks (D-SIBs)), an institution-specific supplementary leverage ratio buffer. If implemented in its current form, CRD V will introduce a binding leverage ratio requirement of 3 per cent of Tier 1 capital that firms must meet in addition to their risk-based requirements. As with the ‘net stable funding ratio’ discussed above, this is not likely to apply until at least 2019. The Banking Reform Act introduced the legal framework for the ‘ring-fencing’ of core banking services that are critical to retail and small enterprise clients. This requirement will result in the core deposit-taking business of UK banks being carried out through entities that are legally and financially independent of other banking services that carry on various wholesale or investment banking activities. Key details on the scope of the ring-fencing requirements and the restrictions applying to ring-fenced entities are set out in a combination of relevant secondary legislation10 and regulatory rules. Affected banks must organise themselves to comply with the requirements by 1 January 2019 at the latest. taken by branches of an affected UK bank outside the EEA. Banks whose core deposits do not exceed £25 billion will be exempt from the ring-fencing requirements. This threshold will be calculated taking into account all UK banks in a group. Building societies, insurance firms, credit unions, cooperative societies, community benefit societies and Northern Ireland industrial and provident societies will also be exempt. Ring-fenced banks will be subject to significant restrictions on their banking activities, including a prohibition (subject to exceptions) on exposures to ‘relevant financial institutions’ (e.g., non-ring-fenced banks, global systemically important insurers and investment firms) and limitations on the types of financial products and services that ring-fenced banks may provide. Ring-fenced banks will also be prohibited from having branches outside the EEA and, subject to exceptions, participating interests (presumed to remain at a holding of 20 per cent or more of issued share capital) in undertakings incorporated or formed under the law of a jurisdiction outside the EEA. A fundamental principle of the regime is that ring-fenced banks may not deal in investments as principal, except where narrowly drawn exceptions apply relating to matters including risk management, debt-for-equity swaps, securitisation of assets originated by the ring-fenced bank, certain simple derivative products, security over shares or other investments and entering into transactions with central banks. The Banking Reform Act will amend the PRA’s statutory objectives under the FSMA to include an objective of ensuring the ‘continuity of the provision in the United Kingdom of core services’ when acting in relation to ring-fencing matters or ring-fenced bodies. These ‘core services’ are broader than the core activity of accepting deposits and extend to facilities for making payments from, and overdrafts in connection with, deposit accounts. d ring-fenced banks are sufficiently resilient, including upon failure of a group member. The Banking Reform Act also provides the PRA with new powers to require the restructuring or break-up of a group that, in the PRA’s view, is failing to meet the ring-fencing objectives. The PRA requires UK banks to produce and maintain a recovery plan, describing actions that could be taken by the bank to ensure the continuity of all or part of its (or of a group member’s) business in prescribed stress scenarios; and a resolution pack containing information and analysis that would assist the regulator with any action it needs to take in the event that the bank is likely to, or does in fact, fail. The PRA has issued supervisory statements prescribing the information and analysis that must be set out in recovery plans and resolution packs, which take into account the requirements of the BRRD. The Banking Act 2009 introduced a ‘special resolution regime’ for UK banks, which is intended to facilitate the orderly ‘resolution’ of banks in financial difficulties. The Banking Act 2009 also established two new insolvency proceedings for banks that are available in respect of failed banks or residual parts of banks that are in wind-down (referred to as the ‘modified insolvency’ processes). ‘Failure’ for these purposes includes insolvency, bankruptcy or administration of the bank concerned or the exercise of resolution powers under Part I of the Banking Act 2009 (the latter are referred to as ‘the stabilisation options’) in relation to that bank. The ‘stabilisation options’ comprise methods for addressing the situation if a bank has encountered or is likely to encounter financial difficulties and can be summarised as (1) the transfer of all or part of the business of the bank to a private sector purchaser, a ‘bridge bank’ wholly owned by the Bank of England or an asset management vehicle; (2) the ‘bail-in’ option (see below); and (3) taking the bank into temporary public ownership. Exercise of the stabilisation options is subject to certain strict conditions prescribed under the Banking Act 2009. The PRA (having consulted with the Bank of England) must be satisfied that the relevant bank is failing, or is likely to fail, and the Bank of England (having consulted with HM Treasury, the PRA and the FCA) must be satisfied that, having regard to timing and other relevant circumstances, it is not reasonably likely that (aside from the stabilisation options) actions will be taken by or in respect of the bank that will enable the bank to cease to be failing or likely to fail. The Bank of England must have regard to certain ‘special resolution objectives’ and must be satisfied that the stabilisation option is necessary having regard to the public interest in the advancement of one or more of these objectives; and that one or more of the objectives would not be met to the same extent by the winding up of the bank. Each stabilisation option is subject to additional specific controls to ensure it is used only where the relevant authority considers it necessary having regard to relevant circumstances, such as the public interest in the stability of the UK financial system. The Banking Reform Act amended the Banking Act 2009 to introduce bail-in as a stabilisation option, which came into effect on 1 January 2015. Broadly speaking, the bail-in tool enables the Bank of England, during a stabilisation period of a failing bank, to impose losses on shareholders and, subject to limited exceptions, unsecured creditors of a bank as if that bank were insolvent, through write-down or conversion into different forms of liability (e.g., equity). The bail-in tool, as implemented, is intended to reflect the powers required under the BRRD and its use would be subject to a ‘no creditor worse off principle’ (i.e., affected creditors must not be left worse off under bail-in than they would otherwise have been under ordinary insolvency proceedings). Certain liabilities (such as deposits protected under the Financial Services Compensation Scheme (FSCS), the UK deposit guarantee scheme) are excluded from the scope of the bail-in tool. As the UK resolution authority under the BRRD, the Bank of England is also required to set the MREL for UK banks, building societies and investment firms within the scope of the BRRD. The MREL supports the bail-in tool and is intended to ensure that firms within the scope of the BRRD have sufficient own funds and other eligible liabilities to facilitate the effective application of bail-in on resolution. The Bank of England sets the MREL on an institution-specific basis and according to the preferred resolution strategy applicable to that institution. For UK G-SIBs, the Bank of England also sets MREL as necessary to implement the Financial Stability Board’s total loss-absorbing capacity (TLAC) standard. From 1 January 2019, G-SIBs with a resolution entity incorporated in the UK will be required to meet an MREL equal to the TLAC standard, being the higher of 16 per cent of risk weighted assets or 6 per cent of leverage exposures. From 1 January 2020, G-SIBs and D-SIBs with a resolution entity incorporated in the UK will be required to meet an MREL equal to the higher of (1) two times their Pillar 1 capital requirement plus their Pillar 2A capital requirement, or (2) two times the leverage requirement (to the extent applicable). Other institutions subject to bail-in or partial transfer resolution strategies will be required to meet an MREL of 18 per cent of their risk-weighted assets. From 1 January 2022, institutions that have adopted the bail-in or partial transfer resolution strategies will be subject to an MREL equivalent to the higher of (1) two times their regulatory capital requirement (plus any relevant buffers), (2) two times the leverage requirement (to the extent applicable), or (3) in the case of G-SIBs only, 6.75 per cent of leverage exposures. The Bank of England intends to review its calibration of MREL by the end of 2020 before setting the end-state MRELs that will apply to institutions from 1 January 2022. The Bank of England has also recently consulted on its proposed approach to setting MREL within groups (internal MREL). Under the proposals, the Bank of England would calibrate internal MREL for a material subsidiary at 75 to 90 per cent of the external MREL, which would apply to that entity if it were itself a UK resolution entity. The Bank of England has stated that it intends to consult further on this issue once there is greater clarity on the CRD V package of reforms. Certain deposits held at UK-authorised banks are covered by the FSCS. The FSCS is managed and administered by the Financial Services Compensation Scheme Limited, a limited company established under the FSMA. This body is accountable to the PRA and the FCA for the effective operation of the FSCS, but is independent from those regulators. Pursuant to the FSMA, the PRA and the FCA are jointly responsible for ensuring that the FSCS is capable of discharging its functions. The FSCS, which is funded by levies on regulated firms imposed on different sectors (and is therefore free to consumers), protects certain retail deposits (primarily those of private individuals and small businesses), and claims relating to certain investment products and certain types of insurance policies. The maximum current level of protection for bank deposits is £85,000 per depositor in respect of all the depositor’s accounts held at a bank. Deposits protected by the FSCS are regarded as ‘preferential debts’ in the event of a UK bank’s insolvency and therefore rank ahead of the claims of most other unsecured creditors. The FCA is responsible for conduct of business regulation and supervision of banks in the United Kingdom. There are certain overarching legal and regulatory principles that UK banks must consider in the conduct of their business, such as the FCA’s Principles for Businesses, which include a principle that firms must treat their customers fairly (the TCF principle). The TCF principle applies to services provided to retail and professional clients, although it is recognised that these client types require different levels of protection, and extends beyond the direct treatment of those customers to all the activities of regulated firms that affect customer outcomes. UK banks must also be aware that UK consumer protection legislation will render certain unfair or unreasonable terms in consumer and certain other contracts as void or unenforceable. There are also restrictions in the FCA’s rules that effectively prevent regulated firms from seeking to exclude or restrict, or to rely on any exclusion or restriction of, certain duties or liabilities that they may otherwise have to customers. Further, the FCA’s Banking Conduct of Business Sourcebook contains a set of reasonably high-level FCA rules that apply in relation to deposit-taking activities, and relate to matters such as communications with customers, financial promotions, post-sale requirements and cancellation rights in relation to banking products. The Financial Ombudsman Service operates an independent alternative dispute resolution service for certain customers of PRA and FCA authorised firms. The Mortgage and Home Finance Conduct of Business Sourcebook (MCOB) contains FCA rules in respect of activities associated with regulated mortgage contracts. These rules apply to banks and other entities that carry on regulated activities associated with mortgages, including entering into regulated mortgage contracts as lender, and administering, arranging and advising on such contracts. A regulated mortgage contract is, broadly, a loan secured by a mortgage on land in the EEA where at least 40 per cent of that land is used, or intended to be used, as or in connection with a dwelling by the borrower where the borrower is an individual or a trustee (‘regulated mortgage contracts’). MCOB sets out regulatory requirements relating to (among others) advising and selling standards, disclosure obligations (both at the pre-application and offer stages of the negotiation of a regulated mortgage contract), arrears and repossessions, and equity release products. The EU Mortgage Credit Directive11 was implemented in the United Kingdom on 21 March 2016. This moved the regulation of second charge mortgages from the FCA’s consumer credit regime to its regulated mortgage regime (bringing second charge mortgages within the scope of the provisions in MCOB) and granted the FCA additional supervisory powers in respect of certain categories of buy-to-let mortgages. The FCA has been responsible for the regulation of consumer credit activities since 1 April 2014, when it assumed this role from the (now defunct) Office of Fair Trading. The regulatory framework is complex and is split between requirements of the Consumer Credit Act 1974 (as amended) (CCA) and the FCA’s own consumer credit rules. As a result of the transfer of regulatory responsibility to the FCA, activities regulated under the CCA (which include consumer lending, credit brokerage and debt collection) are now regulated activities under the FSMA. Firms carrying out consumer credit activities are subject to various parts of the FCA Handbook (such as the FCA’s Principles for Businesses). During the coming year, the FCA is due to review the conduct requirements under the retained provisions of the CCA and adopt rule-based alternatives where possible. The performance of investment business in the United Kingdom is a regulated activity under the FSMA. ‘Investment business’, in this context, includes activities such as dealing in investments (both as principal and as agent), managing investments and providing investment advice. If a bank, or another entity within its group, intends to carry on these regulated activities, it must be appropriately authorised by the FCA or PRA (as applicable). These activities are subject to their own detailed conduct of business rules, including the rules in the Conduct of Business Sourcebook and the Principles for Businesses referred to above. The revised EU Payment Services Directive12 (PSD2), which came into effect on 13 January 2018, has been implemented in the United Kingdom by the Payment Services Regulations 2017 (PSRs). The PSRs set out an authorisation and prudential supervisory regime for payment service providers that are not banks, building societies or e-money issuers (each of which are required to be authorised under separate legislation); these businesses are known as ‘authorised payment institutions’ or ‘authorised PIs’, and are able to passport their payment services to other EEA Member States. The FCA is the ‘competent authority’ for the conduct of business aspects of the PSRs in relation to all payment service providers (including banks), and for the prudential aspects of the PSRs in relation to authorised payment institutions. UK banks raise funding from a number of different sources. In addition to deposits, interbank lending and wholesale funding, receipts from securitisations are gradually becoming more important as the securitisation market continues to recover. The ability of UK banks to rely on sources of funding from within their group to meet liquidity requirements is limited under the PRA’s rules, as noted in Section III. The Bank of England also makes available certain liquidity facilities to UK banks, in particular through its discount window facilities and open market operations. Under the UK change in control framework, which is set out under the FSMA and reflects requirements originally introduced through the EU Acquisitions Directive13 (and now set out in CRD and other sectoral directives), any person who decides to acquire or increase control of a UK-authorised person must first obtain the approval of the appropriate regulator (i.e., for banks, the PRA). Where the PRA is the appropriate regulator, it is required to consult the FCA before finalising its determination in respect of the change of control, and the FCA is permitted to make representations to the PRA in respect of matters including the suitability of the proposed controller and the financial soundness of the acquisition; the likely influence that the proposed controller would have on the UK-authorised person; and whether there are reasonable grounds to suspect, or suspect an increased risk of, money laundering or terrorist financing in relation to the proposed change in control. The PRA has an ‘assessment period’ of 60 working days to make its determination, commencing on the date on which it acknowledges receipt of a complete change in control application. The PRA may, no later than the 50th working day of the assessment period, request further information to complete its assessment and can interrupt the assessment period once for up to 20 working days while this information is provided (30 working days if the notice-giver is situated or regulated outside the EEA, or is not subject to supervision under certain EU financial services directives). The process can be completed well within the maximum time allowed, but it can never be assumed that this will be possible. Completion of such an acquisition without prior approval from the appropriate regulator is a criminal offence and may result in the acquirer’s shareholding rights being restricted or a court ordering the sale of the shares. An existing controller of a UK-authorised person that decides to reduce its control over that person is required to give notice of that intention to the appropriate regulator (although no formal consent is required for such a reduction). Every UK bank is required to take reasonable steps to keep itself informed about the identity of its controllers and to notify the PRA as soon as it becomes aware that any person has decided to acquire control or to increase or reduce control of the bank. The term ‘control’ is broadly defined, such that a person (A) will have ‘control’ over a UK bank (B) for the purposes of the regime if A holds 10 per cent or more of the shares or voting power in B or a parent undertaking (P) of B; or holds shares or voting power in B or P as a result of which A is able to exercise significant influence over the management of B. For these purposes, a controller’s (or proposed controller’s) shareholdings or voting power are aggregated with those of any person with whom it is ‘acting in concert’. There is no statutory definition of ‘acting in concert’ for these purposes, although the European Union and the United Kingdom have issued guidance indicating, broadly, that persons will be acting in concert when each of them decides to exercise his or her rights linked to shares acquired in accordance with an explicit or implicit agreement made between them. The PRA’s assessment of a change in control application must take into account the suitability of the acquirer and the financial soundness of the acquisition to ensure the sound and prudent management of the UK bank. The assessment should have regard to the likely influence that the acquirer will have on the UK bank, but must disregard the economic needs of the market. whether there are reasonable grounds to suspect financial crime. The PRA may impose conditions on its approval where it would otherwise object to the acquisition, but may not impose conditions requiring a particular level of holding to be acquired. The FCA can, where it has reasonable grounds to suspect financial crime, direct the PRA to object to an acquisition of control, or not to approve an application for the acquisition of control unless it does so subject to conditions that the FCA specified. It is possible to transfer a banking business in the United Kingdom by way of a court-sanctioned banking business transfer scheme under Part VII of the FSMA (Part VII transfer). This does not, however, prevent the use of other mechanisms for the transfer or assumption of assets and liabilities relating to banking businesses by other means, such as assignments or novations. A Part VII transfer of banking business, referred to as a ‘banking business transfer scheme’ in Part VII of the FSMA is, broadly speaking, a scheme whereby the whole or part of the business carried on by a UK bank is transferred to another entity and where the whole or part of the transferred business includes deposits. In relation to the second condition, deposits must form an integral part of the business to be transferred under a banking business transfer scheme but need not be the sole or predominant business carried on. A banking business transfer scheme takes effect without the consent of the depositors or other counterparties, although any person who alleges that he or she would be adversely affected by the carrying out of the scheme may be heard in the court proceedings required to sanction the scheme. The court may require assurance that those persons have been fairly treated. Both the PRA and the FCA are entitled to be heard in the proceedings. final hearing: the Court is requested to sanction the scheme at the final hearing. Any person who alleges that he or she would be adversely affected by the carrying out of the scheme has the right to object. If the Court is so minded, the scheme will be sanctioned by a final court order. The PRA and the FCA have the right to attend the final hearing, and representatives from at least one of them would usually be expected to do so. the Court is satisfied that, in all the circumstances of the case, it is appropriate to sanction the Part VII transfer. The Court has wide-ranging powers to make the scheme effective, including providing for the transfer to the transferee of the whole or any part of the undertaking concerned, and of any right, property or liability of the transferor (whether the transferor has the capacity to effect the transfer in question or not). If any property or liability included in the order is governed by the law of a country or territory outside the United Kingdom, the final court order may require the transferor, if the transferee so requires, to take all necessary steps for securing that the transfer of that property or liability is fully effective under the law of that country or territory. The Part VII transfer takes effect as provided in the scheme document, and this normally happens shortly after the final court order is made. the purpose of the scheme is either to enable the person transferring the business, or the person to whom it is transferred, to carry on ‘core activities’ in compliance with the FSMA and the PRA’s ring-fencing rules; or to assist in the corporate restructuring of a group, which includes the transferor or the transferee, to enable one or more members of the group to become ring-fenced banks, while one or more other members of the group remain as non-ring-fenced banks. Ring-fencing transfer schemes do not require the transfer of deposit-taking business. Accordingly, a ring-fencing transfer scheme could be used, for example, to transfer activities that cannot legally be carried on by a ring-fenced bank (e.g., certain derivatives or traded commodities positions) to a third party. Ring-fencing transfer schemes require additional administrative steps to banking business transfer schemes, including a requirement for a report from an independent expert whom the PRA must approve as having the necessary skills to provide a report on the scheme. The purpose of the report is to set out whether persons other than the transferor are likely to be adversely affected by the scheme, and if so, whether the adverse effect is likely to be greater than reasonably necessary to achieve the purpose of the scheme. A court application relating to a ring-fencing transfer scheme may be made only with the consent of the PRA and the PRA must have regard to the scheme report when deciding whether to give consent. On 1 July 2015, the FCA and the PRA introduced five new remuneration codes primarily aimed at strengthening the alignment of long-term risk and reward. The new remuneration codes apply to more than 3,000 banks, building societies and investment firms in the United Kingdom. Banks are subject to two of these codes, namely the PRA’s CRR Remuneration Code and the FCA’s Dual-Regulated Firms Remuneration Code. These are supplemented by guidance and opinions from the PRA and the FCA and, since 1 January 2017, guidelines issued by the European Banking Authority (EBA) under CRD IV. The provisions of the two remuneration codes affect certain senior and risk-taking individuals in UK banks, staff engaged in control functions, and those earning in the same remuneration bracket as senior management and risk-takers. In addition, UK banks are required to apply the provisions of the remuneration codes to their subsidiaries and other members of their consolidation group, including such entities that are established in countries or territories outside the EEA. A central focus of the remuneration codes is the amount and nature of variable remuneration payments, such as bonuses. In general, firms must have a clear distinction between their criteria for setting basic fixed remuneration (which should reflect relevant experience and responsibility) and variable remuneration (defined as remuneration reflecting a ‘sustainable and risk-adjusted performance as well as performance in excess of that required to fulfil the employee’s job description as part of the terms of employment’). The EBA’s guidelines emphasise that fixed pay should provide a stable source of income whereas variable pay should incentivise prudent risk-taking and sound risk management. the variable remuneration component must be subject to malus or clawback arrangements, which must cover specific criteria for application (such as a failure to meet appropriate standards of fitness and propriety). These rules will not generally apply, however, if an individual’s variable remuneration is 33 per cent or less of his or her total remuneration and his or her total remuneration is not more than £500,000. Additional remuneration rules apply in relation to senior managers, including a mandatory deferral of bonus payments for at least seven years (for senior managers), five years (for risk managers) or three years (for other material risk-takers). The clawback period for bonuses paid to senior managers can also be extended to 10 years if, at the end of the seven-year period, there are outstanding investigations that could lead to clawback. The bank’s board of directors must adopt and periodically review the bank’s remuneration policy, and is responsible for its implementation. The remuneration policy should be subject to central and independent internal review for compliance. A bank that is ‘significant in terms of its size, internal organisation or activities’ (essentially, all large UK banks and investment firms that engage in proprietary trading) must establish a remuneration committee for this purpose. Certain smaller banks, building societies and investment firms are not subject to the full range of restrictions in the remuneration codes; for example, smaller investment firms and asset managers may disapply the requirement to maintain ratios between fixed and variable remuneration. In the event of a breach of the remuneration codes, the PRA or the FCA, or both, may (depending on the provision breached) prohibit a firm from remunerating its staff in a certain way; make void any provision of an agreement that contravenes such a prohibition; and provide for the recovery of payments made, or property transferred, in pursuance of such a void provision. The regulatory agenda for the past year has been dominated by two now-familiar themes: regulatory change and Brexit. The former continues to preoccupy UK banks and their advisers as the United Kingdom moves towards its anticipated departure from the European Union in March 2019 without any clear view of the settlement that might emerge or the regulatory framework that lies ahead. The latter has seen banks and their groups, but also UK and EU regulators, implement the requirements of new and incoming EU legislation, with a particular focus on the MiFID II package of reforms. While the date for the UK’s departure from the European Union is now expected to be 29 March 2019 (subject to any possible transitional period), this has brought little certainty to the Brexit process. The implications for the banking sector remain unclear, while it is impossible to predict precisely what regulatory framework will apply to UK banks in the medium to long term following Brexit. At the time of writing, the European Union (Withdrawal) Bill (EU Withdrawal Bill) had completed its passage through the House of Commons and moved to the House of Lords, which is expected to conclude its consideration of the Bill by May 2018. If adopted in its current form, the EU Withdrawal Bill would repeal the European Communities Act 1972, meaning that EU law would no longer have supremacy over domestic law from the date of the UK’s departure from the European Union. The Bill would, however, preserve all pre-existing EU-derived domestic legislation, directly applicable EU legislation and certain directly effective EU rights and obligations in UK law. In principle, therefore, the regulatory regime that applies to UK banks immediately following Brexit should be identical to that in effect immediately prior to the UK’s departure from the European Union. In practice, however, there are a number of practical and legal obstacles to achieving this and a number of policy decisions to be made. Another key area of uncertainty is the continued application of so-called ‘passporting’ rights under CRD IV, MiFID II and other sectoral EU directives post-Brexit. These rights currently permit UK banks to provide cross-border services or establish branches in EU Member States without the need for separate authorisation there (and vice versa). At the time of writing in March 2018, no position had yet been reached on the continued application of passporting rights to UK banks post-Brexit, although recent announcements from both sides of the negotiations, as well as UK and EU regulators, suggest that UK banks should assume that they will lose the benefit of such rights post-Brexit, subject to any agreed transitional period. As a result, many UK banks and other financial institutions are now moving to implement contingency plans designed to mitigate the effects of an anticipated ‘hard’ Brexit, in which they will lose passporting rights entirely. These plans focus on the design of new operating and booking models for EU business and in many cases include the incorporation of EU subsidiaries or upsizing of existing EU operations. While a settlement on financial services should be a key priority for the United Kingdom in its negotiations with the European Union, there is as yet little evidence that the issue is being addressed with the urgency it deserves. Ultimately, the importance of financial services to the UK economy, and the benefits that will accrue to EU Member States that can successfully lure some of that business away from the UK, means that any final settlement will be highly political and is therefore likely to be contingent on agreement in other key areas. With an array of EU financial services legislation taking effect in January 2018, regulatory change remained a key area of focus for UK banks in 2017. Most notably, banks have been rushing to prepare for and adjust to the implementation of the MiFID II regime, which took effect on 3 January 2018. At the time of writing in March 2018, many banks and other financial services firms were yet to implement the requirements of the new regime in full. While the FCA has to date adopted a pragmatic and somewhat sympathetic approach to this, acknowledging in part the inadequacy of preparations at EU level, it is likely that the regulator’s approach will harden as the new requirements settle. It is therefore likely that there will be increased supervisory and enforcement activity in this area during 2018. UK banks have also been grappling with the implementation of the EU Benchmarks Regulation15 and PSD2, both of which came into force in January 2018. Looking forward, the EU General Data Protection Regulation,16 which comes into force in May 2018, remains a key focus for UK banks and their groups. PSD2 is also considered in more detail below. Banking groups subject to the ring-fencing regime have now moved into the implementation phase of their ring-fencing plans and the relevant changes are due to take effect before the implementation deadline of 1 January 2019. Whether driven by new regulation or by market forces, UK banks are under considerable business and regulatory pressure to innovate in their provision of services to customers. PSD2, implemented in the United Kingdom by the PSRs, creates two new payment services: account information services (whereby a payment service provider accesses customer data relating to a payment account held with another payment service provider and displays it to the customer in a consolidated form); and payment initiation services (whereby a payment service provider allows a customer to initiate payments drawn on an account held with another payment service provider). This, with the CMA’s Open Banking standard (described in more detail below), is spurring innovation in the sector, with a raft of new firms emerging to take advantage of the opportunities created by the changes. Despite these changes, and the growing number of challenger banks and innovative financial technology companies that have emerged in the UK in recent years, new market entrants are yet to have a truly disruptive effect on the UK banking market. UK banks are nevertheless having to adapt to an increasingly innovative and agile marketplace and to customers who are increasingly engaged with their personal finances. Perhaps for that reason, the FCA and the PRA continue to be enthusiastic about the potential for innovation in the sector. The FCA, in particular, has recognised the benefit of new technologies in overcoming regulatory challenges in financial services, while its regulatory ‘sandbox’, which allows firms to test innovative products and services in a controlled environment, remains the most advanced programme of its kind in the European Union, if not globally, having now accepted three cohorts of firms. The issue of bankers’ remuneration, and in particular bankers’ bonuses, has been a politically charged issue in recent years. As the regulatory emphasis shifts towards the accountability of senior management for conduct and culture, senior managers at UK banks will increasingly be at risk of bonus cancellations and clawback claims. Prior to this, banks may have been reluctant to seek to recover the bonuses of employees who have been dismissed. However, the new rules mean that banks will be under greater regulatory and reputational pressure to claw back bonuses than previously. The impetus for banking reform in recent years has been fuelled by a number of controversies affecting the banking sector. The criminal trial of six individuals accused of manipulating EURIBOR continues, with the defendants pleading not guilty plea in February 2017. In March 2017, the FCA published final rules and guidance on the handling of payment protection insurance (PPI) complaints. Among other things, the final rules impose a deadline of 29 August 2019 on consumer complaints relating to PPI policies sold before 29 August 2017. The FCA has now launched a communications campaign designed to inform consumers of this deadline. While the deadline is intended to draw a line under the PPI scandal, it may cause a short-term increase in complaints or otherwise require banks to revise their estimated PPI losses. The FCA has in recent years initiated a number of market studies in the financial services sector. In October 2016, it published the final findings of a market study in the investment and corporate banking sector identifying possible conflicts of interest in that sector as well as competition issues relating to the transparency of information and the bundling or cross-selling of services. The FCA subsequently updated its conduct of business rules to include restrictions on the use of clauses that restrict a client’s choice of future providers of primary market services (defined as debt capital market services, equity capital market services and merger and acquisition services). The amended rules came into force on 3 January 2018, and will ultimately affect how investment banks price their services and draft certain of their customer engagement terms. The CMA completed a market investigation into the retail banking sector in the United Kingdom in August 2016. The final report identified features of the relevant markets that are having an adverse effect on competition in the retail banking sector and, in February 2017, the CMA published an order implementing certain remedies intended to address these adverse effects. This included the development and implementation of the ‘Open Banking’ standard, which requires the nine largest banks in the UK to develop an application programming interface to allow read/write access to bank account data. The continuing reform of the financial regulatory framework through the phased implementation of various reform initiatives will continue to present challenges for regulated firms, and particularly banks, in the United Kingdom. Banks are required to understand and comply with the rules of a more fragmented and ever-evolving regulatory regime. They are likely to find challenges in the interventionist role played by the PRA in its close scrutiny of banks’ systems, controls and governance, and by the FCA as it strives to intervene at an earlier stage in product life cycles to prevent and combat perceived consumer detriment. Given this supervisory environment, and taking into account the focus of the largest UK banking groups on ring-fencing reorganisations, the extent of mergers and acquisitions involving or creating systemically important UK banking groups is likely to be limited. When these banking groups are involved in mergers or acquisitions, it is to be expected that regulators will require compelling evidence that adequate due diligence has been carried out, and will apply close scrutiny to the proposed arrangements. Together with competition concerns, these points are likely to have an all-but-fatal effect on any immediate prospects for major domestic consolidation or acquisition activity in the UK banking sector. Indeed, recent government policy has been directed at encouraging competition from new market entrants and ‘challenger banks’. While Brexit remains the most significant development likely to shape the UK banking sector in future years, the implementation of the ring-fencing requirements for the largest UK retail banking groups will also have a substantial impact on the sector. The intense focus and debate on the design and implementation of the ring-fencing regime has died down, however, as banks move towards the implementation of their proposals for legal and operating structures under the new regime. The ring-fencing regime nevertheless presents a fundamental challenge to the universal banking model, and it is not yet clear what effect this may have on the competitiveness of the UK banking groups to which the regime will apply. During the coming year, all this will develop against the backdrop of perennial banking sector issues, including the remuneration paid to senior bankers. There seems little prospect of the banking sector stepping out of the political and media spotlight in the near future. 1 Jan Putnis and Nick Bonsall are partners and David Shone is an associate at Slaughter and May. 2 The London Interbank Offered Rate. 4 Regulation (EU) No. 600/2014. 5 The five largest UK banking groups ranked by market capitalisation as at 7 February 2018. 6 The Financial Services and Markets Act 2000 (Regulated Activities) Order 2001 (as amended) (SI 2001/544) and the Financial Services and Markets Act 2000 (PRA-Regulated Activities) Order 2013 (as amended) (SI 2013/556). The latter specifies the regulated activities that, if carried on, bring a firm within the regulatory purview of the PRA. 10 The Financial Services and Markets Act 2000 (Ring-fenced Bodies and Core Activities) Order 2014 (SI 2014/1960) (as amended), the Financial Services and Markets Act 2000 (Excluded Activities and Prohibitions) Order 2014 (SI 2014/2080) (as amended) and the Financial Services and Markets Act 2000 (Banking Reform) (Pensions) Regulations 2015 (SI 2015/547). 13 Directive 2007/44/EC (no longer in force). 14 Certain shareholdings may be disregarded to a specified extent, including those held by a UCITS management company (or its parent), a custodian or its nominee or, subject to certain conditions, an underwriter of a securities offering (in each case acting in its capacity as such).